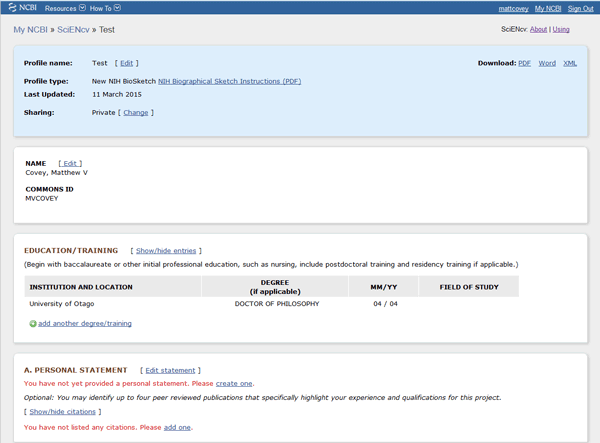 SciENcv amalgamates information about a scientist's education, employment, publications etc to enable the creation of biosketches for grant applications etc. 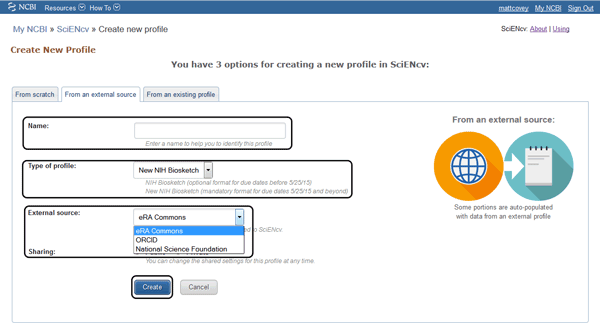 SciENcv is being built by NCBI as part of a working group composed of the following agencies, Department of Defense, the Department of Energy, the Environmental Protection Agency, the National Institutes of Health, the National Science Foundation (NSF), The Smithsonian, and the United States Department of Agriculture. 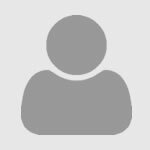 The interagency workgroup operates under the National Science and Technology Council’s (NSTC) Research Business Models and Science of Science Policy Committees. 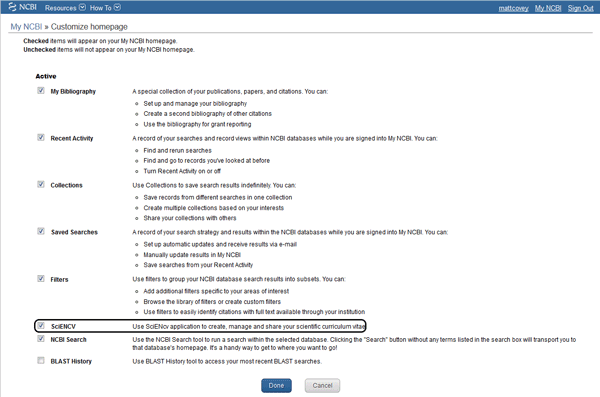 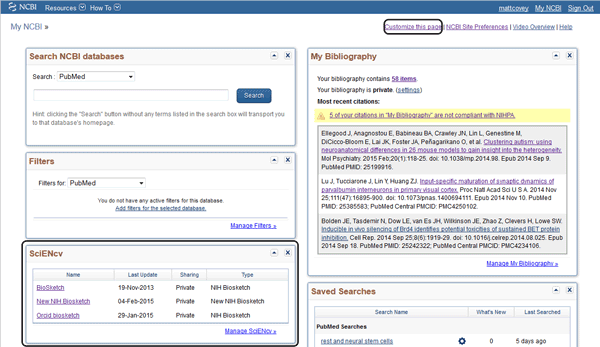 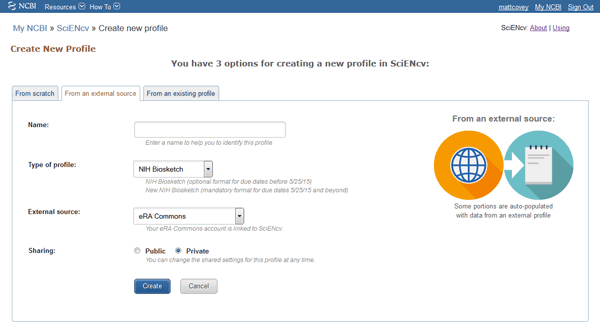 SciENcv can be accessed from your my NCBI homepage. 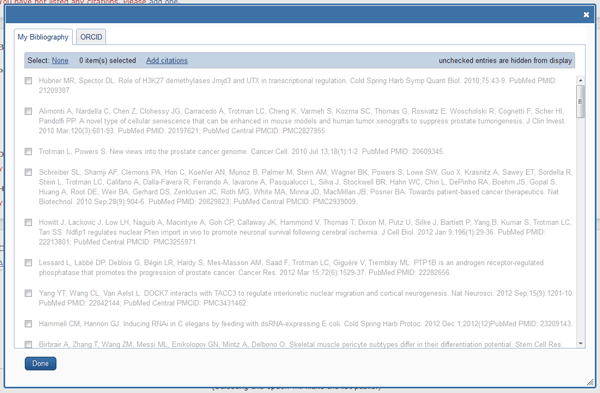 In most cases From an external source will be the most commonly used tab. 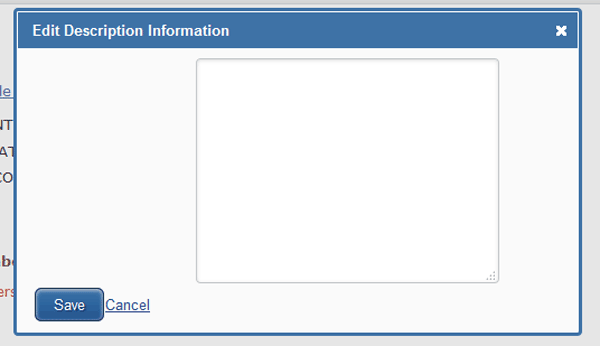 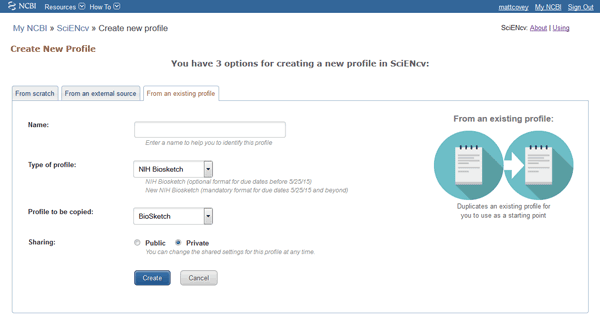 Once the biosketch is completed click on SciENcv at the top of the page to return to the main page.